State and Wilson Streets are blocked off in Brewer while multiple police repond to an active situation at the Village Green Motel. 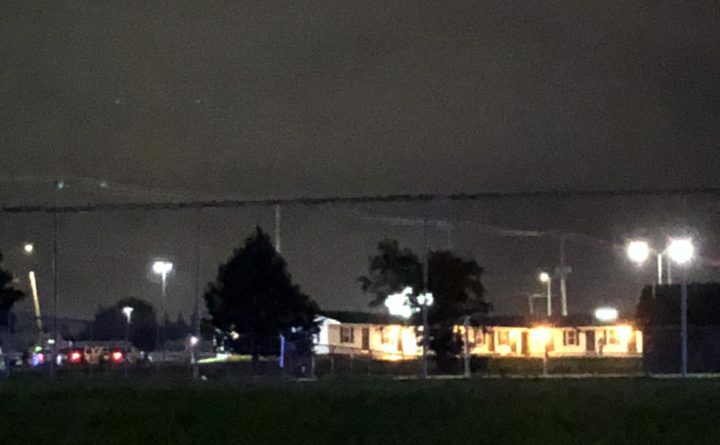 A standoff between police and a man reportedly holding a rifle in the parking lot of a Brewer motel ended after more than two hours Thursday night, when police moved in and forcibly took the man into custody. The details of what caused the standoff and how it came to an end weren’t immediately clear Thursday night, although witnesses standing at a distance could hear the sound of a loud pop and belted police commands as an armored police truck moved closer toward the gun-wielding man, and police officers emerged from the vehicle and tackled him to the ground. The unidentified man is in the custody of Brewer police, according to Holden police Chief Chris Greeley, who deferred all questions to that agency. 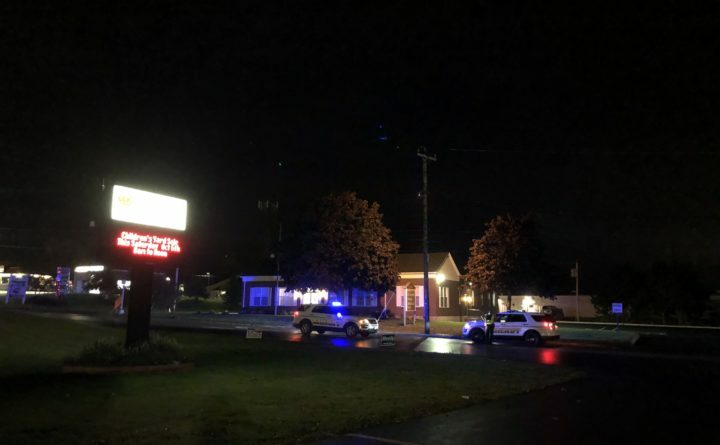 The standoff took place in the parking lot of the Village Green Motel, at the busy intersection of State and Wilson streets, also one of the city’s commercial centers. Brewer, Bangor and Holden police departments, as well as the sheriff’s office and Maine State Police responded to the standoff, according to dispatch. They formed a perimeter around the parking lot, where a white man holding a long gun could be seen standing outside one of the rooms in the parking lot, barely moving except to occasionally walk around and at one point, light a cigarette, witnesses could see through binoculars from a nearby parking lot. Police shouted commands that were inaudible from that distance. Around 8:45 p.m., the standoff came to an abrupt end when the Bangor Police Department’s armored vehicle rolled up to the armed man, and officers emerged from the truck and tackled the man. Shouting and a loud crack rang out during the take down, but it was not immediately clear what caused the sound. No Bangor Police officers were injured during the standoff, according to a department spokesman, who was not able to provide more information. Police left the scene and removed the road blocks by 9 p.m.